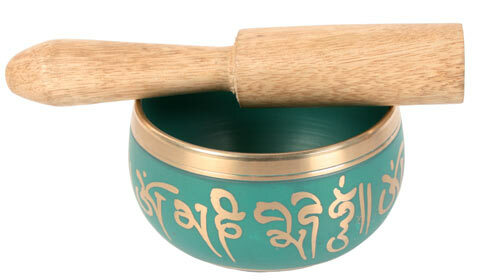 Metal singing bowl, turquoise with gold Tibetan script. Includes wooden mallet. Our Tibetan supplier is a not for profit charitable society run by Tibetan refugees in India, based in New Delhi.